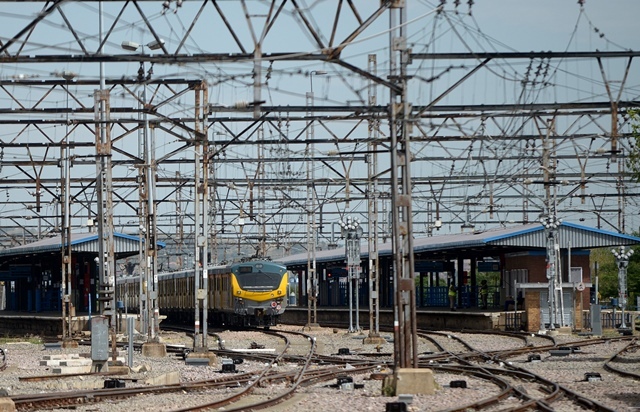 The Democratic Alliance (DA) said President Cyril Ramaphosa’s delayed train ride on Monday depicts what exactly is wrong with the railway system and the governing party. Ramaphosa experienced first hand the daily struggles of commuters after being stuck for hours on a train with disgruntled commuters while he was on the campaign trail for the African National Congress (ANC) with some of his fellow party leaders. Ramaphosa and the commuters boarded the train at Mabopane Station in Pretoria before 8am. The train was more than an hour late. On the way to Bosman Station, where Ramaphosa later disembarked, the train got stuck twice — at Marabastad and Technikon Rant stations — adding another two hours to the travelling time of passengers. Tired of waiting, some of the commuters jumped off the train and walked to their work places while the president remained put. “Daily, people are robbed, in trains and across trains stations due to the lack of safety measures to allow commuters to travel without fear. In addition, many lose their jobs because of delayed and derailed trains,” the DA said in a statement.